Are Sony FE Lenses as Sharp as Canon & Nikon Glass? Every lens was tested with the highest resolution native camera body available at the time of testing. Sony still has holes in their FE lens line-up, but they are rapidly filling those holes with top-quality glass. So to answer the original question, are Sony FE Lenses as sharp as Canon & Nikon Glass? No. In most cases, Sony FE lenses are SHARPER!!! This is an interesting comparison. I am a Sony (A6000) user and can attest the quality of the 28/2 and the 16-35/4. However I do wonder how the testing was done and how much (assuming the Sony testing was done on an A7RII) the results are a direct result of higher quality sensor as apposed to higher quality lens. DxO Labs tests using the highest resolution sensor of each camera brand. Sony lenses are tested on a7RII, Canon are tested on 5DS R, Nikon are tested on D800E. Sensor must be very important. If you test the same lenses that score so high on Sony A7r ii on A7r, the sharpness score drops dramatically. So it’s not simply the lens. I think higher resolution yields higher scores for high quality lenses while it may not result any better score for low quality lenses which have a low resolving power. I am wondering if A7r has an AA filter (A7rii doesn’t). Wow, Sony trumps everything except on one focal length (24-70). Thanks for putting all this data into a format for easy comparison. It’s very much appreciated. I’m assuming the photos are not to scale… if so, they should be used for visual size comparison. The one feature I miss most after switching from Canon is the total lack of a focus scale on any Sony lens. I simply want to know how close I’m getting to infinity without having to switch to manual focus mode. They could make up for that if I could turn on a feature where some sort of indicator would turn on when my f-stop and focus distance reached the point where Infinity was within the circle of confusion of the sensor being used so I can know if I should expect distant objects to be reasonably sharp. After all, the camera has a computer inside and the info can easily be determined with a simple DOF formula if you know focal length, focus distance, f-stop and Resolution of sensor… all of which the camera knows. They could add a digital focus scale that shows not only the focus distance, but a bar that indicates how far in front and behind that point things are reasonable sharp to make it better than a physical scale on the lens. A boy can wish, but that doesn’t mean his dream will ever come true. Zeiss Batis lenses have that, so it’s not impossible…though at this time I wouldn’t expect a re-design of the entire FE lens lineup just to add that. I’m not suggesting that they revise already released lenses. I’m not certain that camera exists, but that’s a good suggestion, pal…. Note: Nikon released the D810 in June of 2014 which increased the frame rate to 5fps and has very similar ratings. The older D800E was used in comparison Brian posted. How about some Sigma ART lenses ? Would Sony stand a chance … ? Sigma Art lenses might be Sony’s strongest competition but this post is meant to compare the Big Three – though I threw in one Zeiss for perspective. Will we get the same results/sharpness if we used Sony lenses with Canon adaptors on a Canon body? You can’t use Sony FE lenses on Canon EF cameras because the body is too thick. wow, this article is so misleading. you can select which camera the lenses are tested on you know. they are tested on the a7RII but you can also compare it with the lenses mounted on the A7R. apples to apples 24mp around the same year (even spotting the sony a year or so). Sony FE 70-200mm F4 G OSS sharpness drops to 23 on that body compared to the nikon on @ 30 on the D800E. that goes for ALL the lenses mounted on a 24MP Sony body – they drop scores. gees, why are you even posting this article with so much bias? All lenses are tested on the highest resolution camera body available for each camera brand. Just stumbled on this page. I have a 5DS and if that’s what the Canon lenses were tested on for comparison, it would give other brands a head start. The 5DS is finnicky about what works good with it because the resolution is extreme. I think a 5D mk iii or mk iv would have been more realistic. A good number of Canon’s lenses were never designed to function with the likes of the 5DS. 5Ds was used because it provides the highest possible lens score of any Canon camera. what are you a robot? i just said you can select which camera the lens it tested on. Yes, this is the Robot from ‘Lost in Space’ filling in for Brian. He would tell you the results you in these tests are the best you can achieve on a native camera body and that it is indeed possible that some Nikon lenses might actually perform optically better on a Sony a7RII than on a Nikon. Yes, considering that Canon and Nikon lenses can be tested on Sony mirrorless cameras, I wished DxoMark had done this kind of testing so that we could have possibly had a relatively better idea about lens scores independent of sensor. I think what (s)he is saying is that on the comparison of three (max) lenses you could select another Sony camera in the drop down list that matches the 36mp of the Nikon body for a more even match up instead of the 42mp A7rii. As the tide rises all boats float. All lenses will perform better on the A7rii, given its higher resolution. You don’t have to compare it on the highest resolution body available just because it’s there by default. It skews the reader into thinking those values are absolute. Well, resolution is probably one factor but it may not be the only factor: Canon lenses on Canon 5Ds R in general still score lower in sharpness than Sony lenses do on A7r ii even though 5Ds R has a higher resolution sensor! I still think the best solution would be to test all lenses on A7r ii because all lenses (from Sony, Nikon, Canon, etc.) can be mounted on this camera natively or via adapters. Even if this methodology may not be perfect, at least, it provides an answer to the curious minds who want to see how Canon and Nikon lenses score on Sony cameras in comparison to Sony lenses and, the results may be surprising. I do think the sensor inside A7r ii must be the best available sensor in any FF or APSC camera as of now. However, following the topic of this article, the goal is to compare lenses of different systems in the most possible objective way hence, suggesting to mount them all on the same camera. After this article and following some people’s response to it, I have to mention the difficulty of scoring lenses and sensors: the problem is they affect each other’s performance and score. As DxoMark scores show, the lens score is heavily affected by the underlying sensor and at the same time, the sensor’s score is also affected by the lens being used to evaluate the sensor. When comparing across different platforms, a direct comparison may not be %100 reliable because both sensors and lenses are different. Nevertheless, I have recently following people feedback on using Canon lenses on A7r ii and it seems to some extent if a Canon lens on 5Ds R is scored lower than an equivalent Sony lens on A7r ii in terms of sharpness, it is also generally reported to be softer than the Sony lens when both are compared on the same camera body (A7r ii). One particular case I remember now is that of Canon 50mm L F1.2. Please note that as stated up front, that Canon lenses are rated on the BEST camera Canon makes, the 50mp 5DS R, so as with the other ratings this is s the best they will perform on a native camera body. It’s also worth noting that, even though it’s a somewhat maligned lens on the Sony system, the FE 24-70 F4 Zeiss also trounces it’s CaNikon competition. The top quality of Sony lenses, even the perceived duds, seem to be a recurring theme here. Here is a voice from the North of Norway again: Whats the best lens i can by to Sony a7RII (or Sony a9) for photographing the Northern Light? For a couple og years I have used my Canon 16-35mm F/2.8 L lens getting some splendid results, but to compete wit nature photos you need the best weapons. Sony a7RII and A9 are good weapons, my Canon 5D Mark IV is ok, but it is my third choice. I am no 100% pleased with metabones adapter, canon 16-35mm F/2.8 L and Sony a7RII, and looks for a sony lens for my main use in this class- Northern Light photo. What lens do you recommend? Do not recommend any lens if you don not believe it will take sharper photos with my best camera than my canon 16-35 mm does! I have read DXO’s scores of the 16-35mm group lenses, but can I trust the scores og not? Greetings Alf. The results are not even close. This was a pure beat-down by Sony! 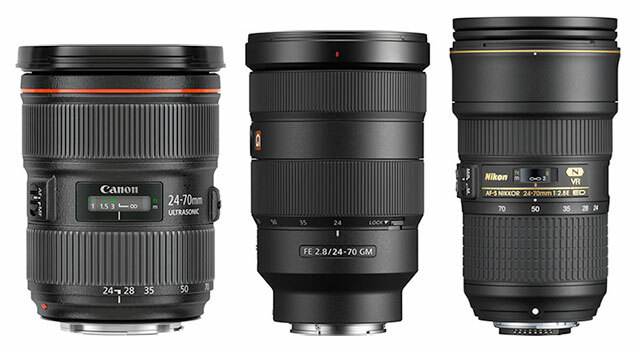 The Sony FE 16-35mm f/2.8 GM is clearly the BEST in class! Seems that Sony lenses beat all other lenses with a great margin. 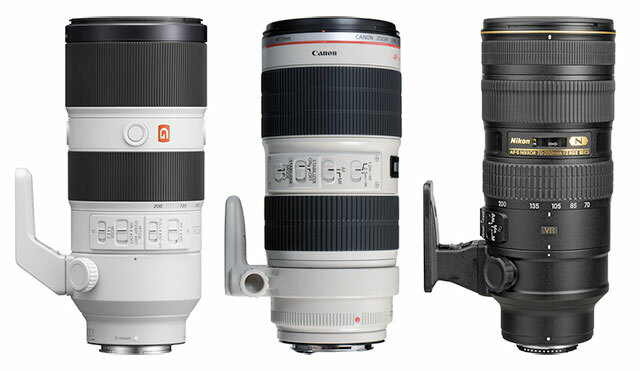 The only exception is the 24-70 f2.8 being second to the Canon. Yup, and bear in mind that the Sony FE 24-70mm f/2.8 G Master Lens was designed to balance sharpness with beautiful bokeh. How is it that you have nice bokeh but lose sharpness? I suppose Leica is one that has sharpness and bokeh possible? Care to expound? Sony’s 2470 f2, 8 could have done better? Actually, Leica M is a great example of this. The Leica M lenses with the best Bokeh (50mm F0.95 and 75mm F1.4) are not as sharp as the 24-70 F2.8 GM, but like the GM, they sure are pretty! Sony managed to balance sharpness and Bokeh better than even Leica. Well this was a fun read. Even more fun were the comments from people who didn’t actually read the criteria for the article thus making your respond over and over that each was tested on the highest resolution for each make of camera. I’d be those people don’t even need to read a camera manual because they already know how to operate every feature on their camera. It’s also likely they have some beautiful out of focus poorly exposed images to share with friends on Social Media. Reading comprehension is a skill one doesn’t really need to master. I have but one simple criticism of your site which I like… it can be difficult for tired eyes to read text with so little contrast with varying shades of grey. But it does look cool. It’s human nature to question such overwhelming results, especially if one is vested in Canon or Nikon. While nice to have, these obsessive-compulsive tests aren’t the end all. Millions of excellent photographs have been taken with Canon and Nikon gear, and one wouldn’t have a clue if the lens used scored less DXO points than its Sony counterpart. BTW, I was an early adopter of Sony gear, still use the Sony A7R-II (and soon will be adding the A7R-III). Each one of these three camera systems has a “creative gestalt” that defies numbers … which one you prefer is subjective. Oddly, none of the three discussed here are my favorite, but they don’t make Contax anymore so I moved to a Sony A900 for the Zeiss AF lenses (some of which I still use on my A7R-II), and I also use adapted Leica M lenses for small fast optics … in combination with the A7R-II I call it “Mighty Mouse”. I was always a big Mighty Mouse fan. Obviously Sony is very keen towards such (biased) publications. I am using most of the tested lenses. Some are better that others, but Brian goes generally too far. Yet, it IS hard to turn your back to Sony’s bid smile . Isn’t it ? DxOMark are independent objective tests. As with Canikon, some Sony lenses perform better than others, yet across the line-up, Sony glass consistently out-performs comparable Canon & Nikon lenses. Why not test all lenses on the Sony A7Rii or iii with the appropriate adaptors? Using different cameras just adds too many variables. If you’re saying that Sony has an unfair advantage because Canon & Nikon don’t make a camera that can compete with a7R II & III, why is it so difficult to accept that the same is true of lenses??? I have no problem excepting the fact that Sony makes better lenses, just thought it would eliminate a variable to test them all on the same camera. Just a thought. I appreciate your time & talents in testing & posting. In real life and actual photography, things look differently. I have tested A7SII, A7RII ,D810,D750,D500 with most of the lenses mentioned in your test. I feel very awkward about this aggressive Sony policy and sorry for you that you have to support it. There is no “Sony policy”. Just independent lens tests by DxO. 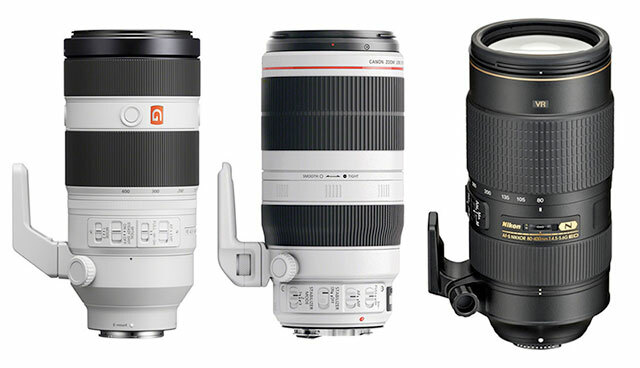 The simple fact is that Sony is currently making better lenses than Canon & Nikon. But if making Best-in-Class lenses is “aggressive”, then yes, Sony is kicking Canikon’s glass! Brian, you act like a pop-up menu……is that all you do all day, defend Sony at any cost ? I have very limited time but , perhaps I should send some photos and not just numbers. Sony has NOT discovered the secret formula. Believe me, you get what you pay and both Canon and Nikon produce fantastic lenses with a lot of character. I like you, you are a workhorse in photography but Sony is just another good camera and lens maker. My fav is A7II and have no interest for A7RIII, I will wait for A7RIV. ……and Canon plus lenses give a pleasing ambience and mood that no other camera can get ! An interesting review. At 35mm f/1.4 Canon is also better. Results with the Nikon D850 will be better. These tests are NOT about sensor resolution – it’s about lens quality. Despite testing Canon Lenses with the higher resolution 50mp Canon 5DSr, Sony FE lenses score higher in almost every case – even though tested on a lower resolution 42mp Sony a7R II. This only means Sony makes better glass – not a higher resolution sensor. Brian, I really want to believe that you are a fair and unbiased judge of image quality, so let me make one followup comment. You say the lens tests are not about sensor resolution, and the DxO score just shows that Sony makes better glass. I’m pretty sure sensor resolution is a factor in the lens score, but let’s set that aside. The link to the DPReview studio scene shows that 5DSR with Canon’s 85/1.8 produces a clearer, more detailed image than the A7RIII with Sony’s 85/1.8. And that is true for every ISO. Follow me so far? And yet DxO gives the A7RIII a DxO score that is 14 points higher than the 5DSR. And DxO also gives that Sony 85/1.8 a DxO score that is 11 points higher than that Canon 85/1.8. So … whether you look at the camera or the lens, or the combination of the two, the Sony gear scores way higher even while the Canon gear produces a clearer, more detailed image at every ISO. That’s why I say the DxO score is fishy. One might rationally think, “A higher DxO score is earned by producing a better image.” However, I think that the DPReview studio scene shows the contrary. It seems to be conclusive proof that a much worse DxO-scoring camera and lens combination produces a distinctly better image. Don’t you see the contradiction there? Doesn’t the evidence show you very plainly that the DxO score is simply erroneous? DxO tested all lenses with the highest resolution native sensor each camera brand had to offer at the time of testing. (Nikon has released D850 since these tests were done so I would imagine Nikon scores would move up a bit if DxO retests for D850). Canon lenses were tested on a higher resolution 50mp 5DSr sensor compared to Sony lenses which were tested on 42mp a7R II. Yet even with a lower resolution sensor, Sony simply kicked Canon’s glass. Ok, I give up. You say, “Yet even with a lower resolution sensor, Sony simply kicked Canonâ€™s glass.” But you are totally ignoring the evidence of the DPReview studio scene, which shows you the opposite of what you say and the opposite of what the DxO scores say. DPR’s studio scene plainly shows that Sony did not kick Canon’s glass. It’s there for anyone to see. You just have to look. You’re saying that DxO gave Sony a higher score â€” but you’re not addressing the visual evidence. If you look at visual evidence, it shows the worse scoring camera + lens combination produced a better image. So how does the score correlate to the image? It doesn’t. Buying cameras and lenses is complicated and stressful enough without DxO complicating things with mysterious scores that do not correspond to what a photographer can see with their eyes. You just have to look at the studio scene to see that the scores must be unreliable if two modestly scoring pieces of gear produce a noticeably better image than two much higher scoring pieces of gear. It’s as if you’re saying we should believe DxO and not our own eyes. Optical Bench Tests are OBJECTIVE. The results are the results. Studio Tests of stuff piled on a table are SUBJECTIVE. Results are in the eye of the beholder. The objective tests show that Sony FE lenses almost always out-perform Canon & Nikon. All 26 Sony FE lenses have been designed in the past five years and all were designed for 50mp sensors. That’s only true for a handful of Canikon lenses and unsurprisingly those are the Best Canon glass on the list (EF 11-24 F4, EF 16-35 2.8 III, EF 24-70 2.8 II & 35 1.4 II). Due to the mirror box, Canon & Nikon DSLRs lenses are unable to take advantage of placing lens elements within 44mm of the sensor. The 18mm focal flange depth allows Sony top create lens designs not possible with DSLR lenses. I expect both Canon & Nikon will announce their first fullframe mirrorless camera at Photokina this fall. If they put the same resources and effort into lens design that Sony has – it’s possible that in five years they can match Sony’s current lens line-up. 15 categories of lenses tested, DxOMark says the new kid Sony wins all but 1?! Hmm some legendary lenses by canon and Nikon get nearly half the resolution score as the Sony lens numerous times. These guys have been making lenses for decades, and both companies are known for having some legendary stuff, but weâ€™re supposed to believe Sony discovered the winning formula on their first try? Brian, do you ever use a lens or sensor testing source other than DxOMark? It would be great since DxOMark scores everything Sony far above other competitors and many disagree with their conclusions. For the record, I do think Sony has great gear and is beating canon and Nikon in many aspects. Call me skeptical of DxOMark at this point. Sony has many of the top lens designers and they had the chance with FE lenses to START FRESH instead of recycling 20 year old lens designs. Canon is moving that way with some of their Mark III lenses, but it better to get it right the first time, right? The people who complain about DxO do so because they “know” their lenses MUST be superior no matter what Optical Bench Tests tell them. I switched to Sony two years ago coming from Canon. I agree with the test results. I really am impressed with both Sony cameras and the lenses they offer. 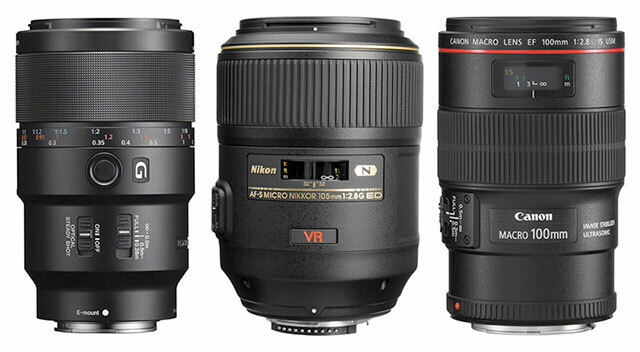 Same here, I have the 16-35mm f/2.8 GM and it is the perfect lens, so sharp! I have been a follower and fan of DxO test results for years. However, starting a few years ago DxO shifted its focus from testing to a range of other activities. As a result my confidence in DxO test results has dropped significantly. For example, why hasn’t DxO tested the Nikon 70-200 E lens ? Do manufacturers pay or enable DxO to test their products and thereby have a way to avoid being tested and published ? Today it’s very hard to find independent and trustworthy apples to apples lens tests results. The industry needs a new standard for testing lens sharpness independent of sensor resolution and vice versa. The manufacturers hide behind their own MTF charts which offer an analysis of the relative quality of the lens as a function of the distance from the center of the lens, often tested at a very low line-pair-density, far from the peak sharpness of the lens. This might be of interest to the manufacturer but it does little or nothing to satisfy the consumers need for comparative information. Most other industries are forced to measure and publish in an informative and comparative way the performance of their products, why not the same for lenses, and digital image sensors ? There are a lot of new Sony FE lenses that DxO has not yet tested either. I’d actually point to that as an example of how time-consuming their testing is. I do not think that’s the reason. The Nikon 70-200 E lens came out in 2016. It does not appear as if DxO is totally unbiased and/or independent any more. That does not mean that I see anything wrong in your conclusions about Sony. On the contrary, I am slowly heading in that direction myself. 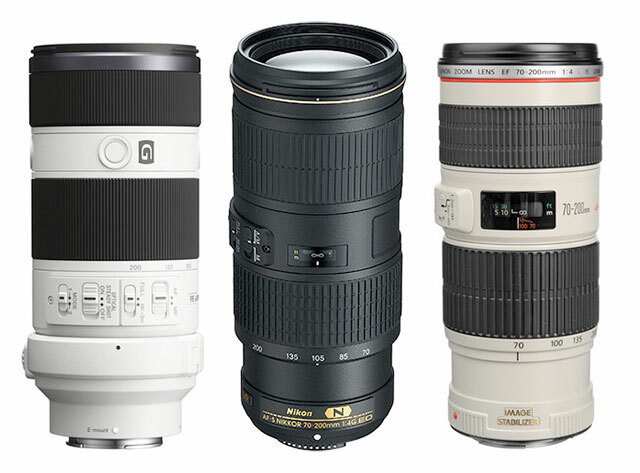 In fairness that may be at the third or fourth 70-200mm 2.8 lens Nikon has produced. It gets kind of confusing and there are very few optical changes between each generation. DxO has not made an apples to apples comparison of the present generation 70-200 F2.8 lenses. LensTip has made this comparison and they report a Sony resolution of 737 compared to a Nikon resolution of 1029. Your reporting on 70-200 F2.8 lenses is not credible. Results are accurate for all lenses tested. DxO has not yet tested many of the latest Sony lenses yet either. Then you dig a little deeper and report the credible facts that are available. 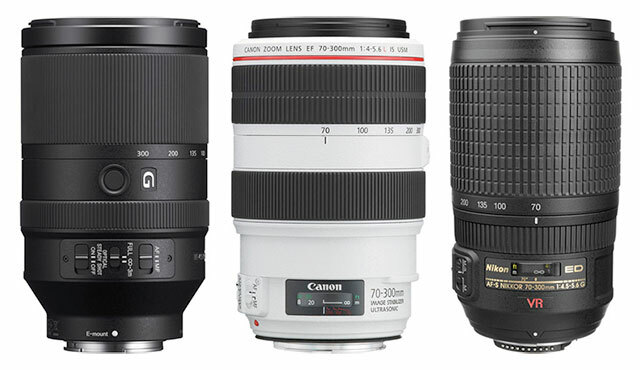 Your treatment of 70-200 lenses reads like an excuse to be biased. Your stubborn denial strengthens the impression. I’m simply reporting the results of DxO Tests.